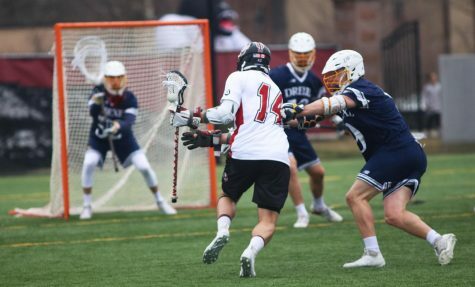 The Massachusetts men’s lacrosse team will be in Providence, R.I. today to take on Brown at 4 p.m. as the Minutemen look to break a three-game losing streak against the No. 15-ranked Bears (3-1). Coming off a 17-3 win against Providence (0-5), its largest margin of victory since 2002, No. 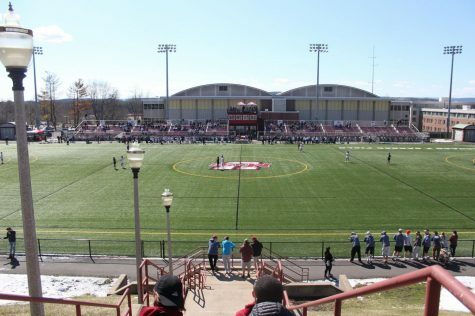 18 UMass (4-2) brings the fifth-ranked scoring offense in NCAA Division-I (14.2 goals per game) to Meister-Kavan Field. Last season, Brown left Amherst with a 9-8 win, edging the Minutemen in every quarter by one goal. UMass held a 46-34 shot advantage, but the accuracy of the Bears proved to be the Minutemen’s undoing. 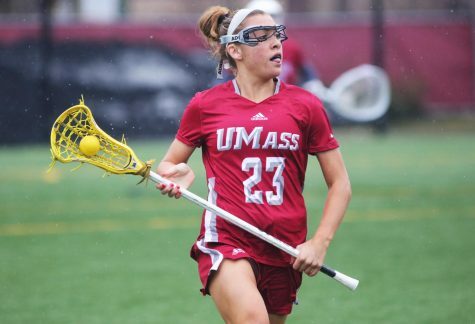 A problem that plagues this year’s UMass team is unanswered goals. 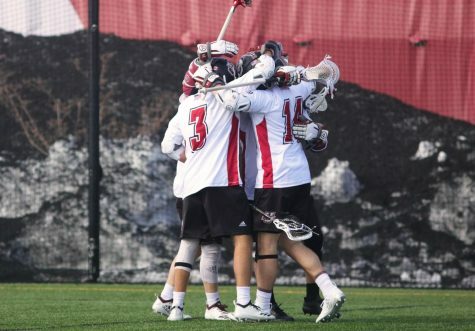 In the loss against then-No.14 Harvard (14-2), the Crimson went on runs of two, three, and eight-straight goals before the Minutemen could find the back of the net. 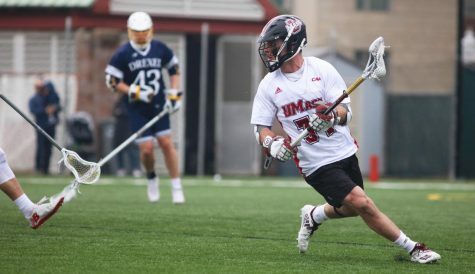 However, UMass coach Greg Canella thinks that the win against Providence proved that the Minutemen have a better sense of urgency when giving up multi-goal strings to opponents. The stat sheet shows no glaring difference between the two teams, just missed opportunities. Neither team yielded a goal on special teams, but this season tells a different story. 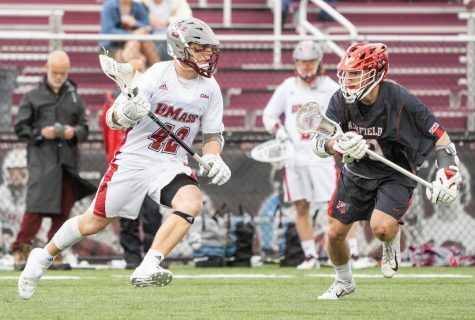 UMass’ 14 man-down goals allowed in 23 opportunities and Brown’s three goals allowed in four opportunities show a vulnerability that either team can exploit. The Minutemen return sophomore Art Kell (16 goals, eight assists) and junior Ryan Hantverk (11 goals, six assists) who each scored against then-senior All-American goalie Jordan Burke in last season’s contest. UMass also boasted an All-American goalie in Doc Schneider. 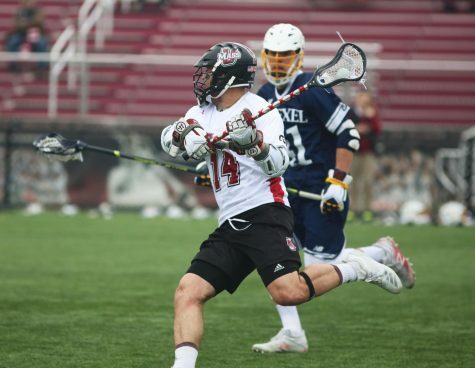 Burke now serves as an assistant coach for the men’s lacrosse program at Northeastern. 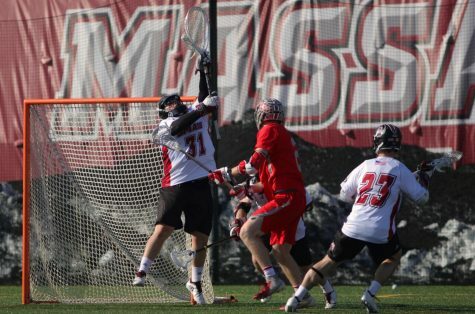 Both goalies have since graduated, but the Minutemen have the advantage with Schneider returning as an assistant coach to mentor incumbent goalie Tim McCormack. McCormack is 4-2 in his first year as a starter this season. Tanks to the coaching of Schneider and the sensational play of members of his offense, McCormack has added assets in addition to his already solid skills in the cage. Kell is coming off a career-high five goals against the Friars, while Hantverk had a point in every game this season except the loss to Harvard. Both teams have a stronger offensive output in the first half on paper, but Canella insists that there is only so much that can be done to rally the team at halftime. Canella said there’s “not much” he tells his players at halftime. “You don’t have much time at halftime, and you don’t want to give them too much information as well,” he said. One advantage that the Minutemen look to have over Brown is the ability to spread the ball around the field. UMass holds a 55-36 advantage over the Bears in assists this season. 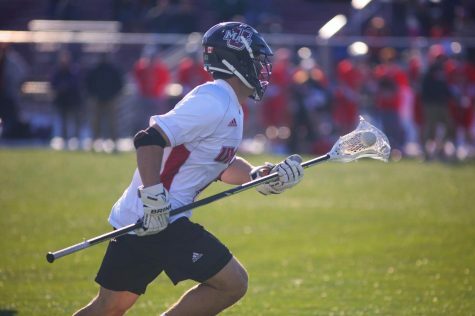 Additionally, attack Andrew Feinberg (11 goals) is the only player to have a double-digit goal total this season for the Bears, compared to four for the Minutemen, including freshman attack Will Manny. Manny leads all freshmen in points this season, with 11 goals and eight assists coming off the bench as a legitimate scoring threat for Canella. 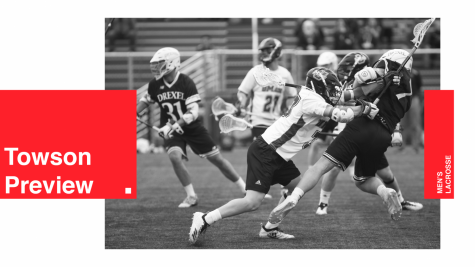 Redshirt senior All-American Diogo Godoi (10 caused-turnovers) and sophomore Tom Celentani (16 caused-turnovers) lead a Minutemen defense that looks to find a weakness in a Bears offense that has above-average stick-handling skills (38 turnovers). On the defensive side of the ball, Brown has 10 caused-turnovers this season in two fewer games than UMass, which has 73.